Investors are always being reminded to be wary about “guaranteed rental return” (GRR) schemes in Malaysia property market. 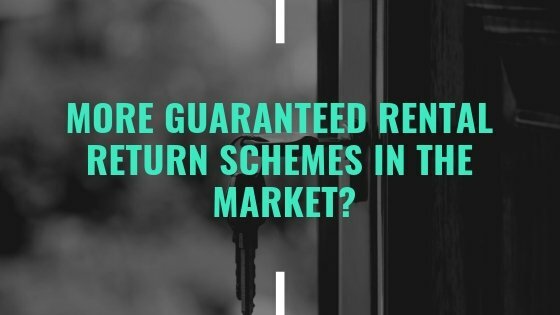 It will not be surprising to see more and more guaranteed rental return (GRR) schemes in the next few years. As developers seek creative ways to increase the appeal of their property in a more challenging market to come, more hybrid variations will eventually surface. Over the past two years many GRR schemes were offered. The concern here is, however, whether the developer will be financially capable of honouring it. In the above example, the total amount of “rental return” for the 9 years is in fact an amount of cash you pay upfront to the developer, borrowed by you from bank if you finance the investment. The developer then returns it piecemeal to you without any interest while you bear all the interest charged by bank. 1. If the GRR is not part of the deal, would you still buy this property? 2. Is the property selling price justified in comparison to other similar properties within the same vicinity? 3. Does the developer have the capacity to build and manage the property, and ensure the income is generated? Assessment of developer’s background, style and planning of asset management must be included in the due diligence. 4. Is the rental income figure realistic and achievable in the current market where the property is located? If not, the investor will see a dip in returns once the rental guarantee period ends, which indicates a potential drop in the value of the property. Many unscrupulous developers will inflate the rental guarantee figures to create a good impression. 5.What is actually underwriting the guarantee? Is there an actual contract in place where there is a legal recourse should the income not be generated? If not, then this should be a cause for concern. There are some good deals out there and some good properties with potentially very good returns. But even in such cases, part of the essential due diligence is to research whether the investment property represents good value and ascertain what the rental market situation is. The rental market is volatile, depending on current competition and market conditions. It is a cyclical market, and is subject to the laws of supply and demand as in any other sector of the economy. There must be real rental demand to substantiate GRR scheme or it will not be able to last through the entire term, especially if the units remain vacant. The scheme could eventually become disastrous when developers face difficulty filling up the units to fulfil their promised rental returns. This article is contributed by me and Dr. Ong Kian Leong, founders of the first ever online property investment course for Malaysians, called Property Method. Dr. Ong Kian Leong (commonly addressed as Dr. OngKL), is the creator of GoFinanceTM, a tool that allows investors to accurately evaluate if an investment is worth investing as well as worth financing for maximum return. Claimed by himself as a student in the life-long learning journey, he is also the master trainer of Property Method and the blogger behind Real Estate Investment Blog. « Previous Post The De Facto Advantages Of Going To A Local Malaysian University Next Post » What Is The Purpose Of Your Time Today? 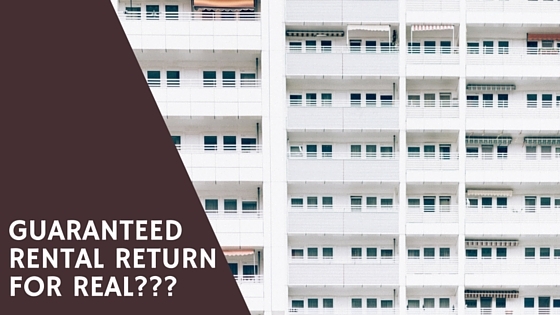 26 replies to "More Guaranteed Rental Return Schemes In The Market?" GRR is a trick to buyers. We have a few hundred owners now get entangled in this trick for a property at cyberjaya too, 6 months not paying and the developer is very smart, asking owners to re-sign another Tenancy Agreement with another party, i guess trying to wash its hand. I can be dumb once but not twice. However you did not include one very important point. The party that provide the GRR. Very often they are not the developer. Another subsidiary or an unrelated organisation which can fold up when the going gets tough. I have heard of a few instances that happen overseas whereby GRR was much higher than the average rental and the subsidiary just close shop. Indeed a very useful information and knowledge gain from your sharing. I was tempted many times but somehow not so convincing on their ability to rent out the units at their promise rental rates. Thank a lot for your sharing. Thank you very much for such informative knowledge and experience. Since tis GRR Scheme is such a scam,how come Ministry of Housing or the BNM step-in to put a stop on tis Investment Scam?? When developers introduce this, they do hope to make it happens, if they can find tenants for the completed properties. But in many cases, the developers couldn’t pull it off. Buyers can then take legal actions. The government of course can step in if they feel there is a need. if we have this GRR problem not paid to buyer. What action we can take to protect our capital? Can get most owners to team up, collectively hire lawyer for legal pursuit. Really hope more people will be more alert in this type of tactics/scam used by some developers to cheat our hard earn money. Sometimes, even if management have money, they also find ways not to pay the GRR to investors. Not sure if there is laws in Malaysia to take action against these developers and companies? You have any experience of winning cases on these GRR issues? Thanks for the blogs. They are very informative. With regards to GRR, wish though that this had come out 3 or 4 years back, then would not have been suckered into a GRR deal with IOI Properties. My question with regards to GRR is this, is this income taxable? That is, since I have a contract with IOI Properties, will LHDN tax me on this income? For tax matter, I would suggest that you check with your tax accountant. That’s what I would do too since the tax matters change every year and the professionals stay updated to the most recent practice. So sorry to hear your bad experience. No doubt it is a valuable lesson for most of us. I recently came across few developments around golden triangle. One particularly very tempting, located up bukit Ceylon. They didn’t exactly sell higher than the market price. GRR was 3% monthly rental was fixed and balance based on occupancy. Which seems like a fair deal. As most my foreigner friends always choose to live around that area as many as this units are there. I realised it’s always occupied and hard to get a unit for rental. I’m your new follower KCLau. Keep up the good work. Thanks for stopping by and share with us your experience. Kenwingston Square Garden project at Cyberjaya also offer GRR for 3 years. Any commen6 for expertise? The bridge at Cambodia with GRR. What if the property is a purpose-built for student accomodation and is going to be rented out to students throughout the duration of the contract? Is it still a no-no? Hi Gan, there is no fixed rule to investment. You will need to assess the situation and see whether the numbers makes sense for you to invest. Is the selling price already accounted for all the guaranteed rental? Can you find better investment with the same capital? From what I see, the GRR is shearing wool from donkey scam. The developer topup your upfront lended money from bank & pay you back monthly. This means you guaranteed them to pay you back later. You pay lended interest & they generating FD interest. If they rent out means the rental received is additional bonus to them. Exactly as I learnt thru the hard way.. the return only last for 3 years before the developer invoke a clause in the tenancy agreement for much lower return for the next 2 years due to bad market condition at the moment.. never will sign up for any of such scheme..